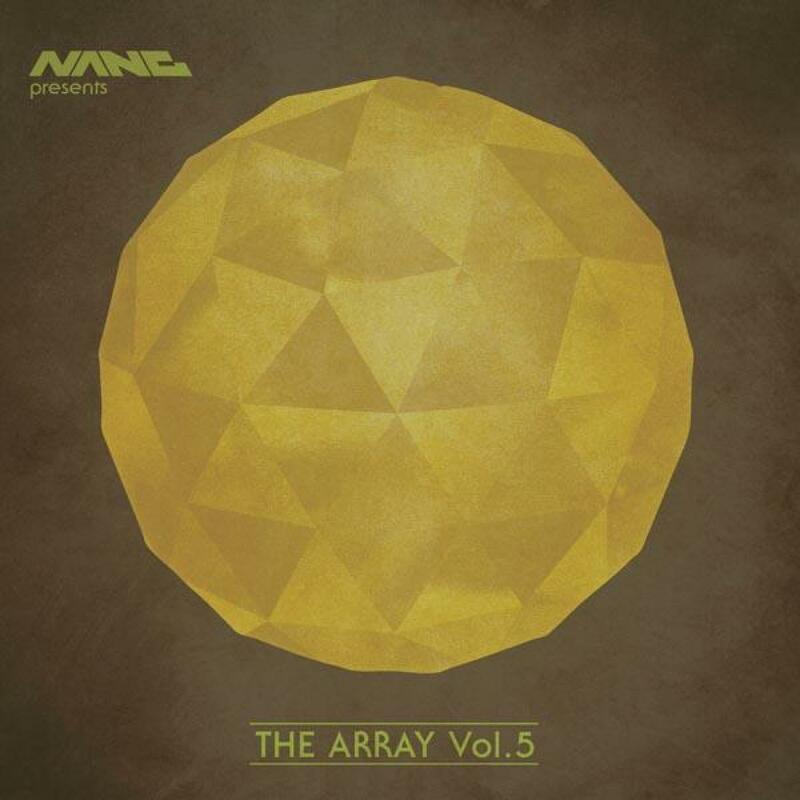 "Nang Presents The Array Volume 5"
Spring is in the air. The floods are dispersing, Winter is fading and it is, once again, time for our annual Nang "state of the nation" compilation. The Array is now (quite unbelievably) into its fifth year. The Array series is our collection of the past year's highlights, some future classics and a few special surprises. Big names abound with top cuts and remixes from the likes of Daniele Baldelli, Andy Weatherall, Rayko, Hiem, Pete Herbert, Max Essa and a lot more. First off is a special remix from UK producer Andrew Weatherall who goes for a dance floor excursion on the ever so spicy "Complotto Geometrico" from Italian legend Daniele Baldelli and accomplice DJ Rocca. One of our best sellers in a long time. Spaniard, Rayko follows up proceedings with his third single from his upcoming "Rebirth" album. A shimmering, synth-laden groover called 'Rusos Theme'. All around nice-chap Pete Herbert is on-board for a fine remix. No to be outdone the Sheffield contingent, Hiem head straight to the floor with their "Freaky Nights" Gemini Brothers remix. Slick bass guitar and locked on grooves. Slowing down the pace to an interstellar trawl, next up we present a great track from Mexican scene newcomer Je'Couleur. "Space Dancer" is a cosmic, groovy and masterful debut. Next it is off to Manchester for James Bright (one half of chill-out Kings "Lux") who pairs with Melanie "A'int No Use - Sub Sub" Williams to deliver a big vocal house tune with a neat 90's twist. Cool, slick, smooth Nu-disco is the order of the day with new cuts from new kids on the block Headpocket "Through The Round Window" and JMRS (Halleluiah Men all around). Dublin based Lasertom also checks in with his trademark slowest-of-slo-mo-build-up odysseys "All The Time". Italian Brioski treats us to a new killer track Squadra Volante too. There is just time to catch a bit more dance floor with "Vicious Games" (a cover of the Yello track) from Swede Martin Brodin and super stylish "Fly To Sea" from Russian disco gems Kim & Buran. 01. Written by Luca Roccatagliati and Daniele Baldelli. Additional Remix & Production by Andrew Weatherall. Published by Expanded Music Srl courtesy of P Playground. 02. Written and Produced by Rayko at the Rare Wiri Studio. Guitar by Nacho A. Rodriguez. Vocals by Pablo Fierro. Published by Dharma Songs. 03. Written by Bozzwell, Eastwood & Stenton. Published by Dharma Songs / Copyright Control. 04. Written and Produced by Amauri Hernandex. Published by Dharma Songs. Licensed from No Static Recordings. 05. Written and Produced by James Bright. Published by Dharma Songs. Vocals by Melanie Williams. 06. Written and Produced by Matthew Garlick. Published by Dharma Songs. Licensed from No Static Recordings. 07. Written and Produced by Claudio Brioschi. 08. Written and Produced by Kim and Buran / Slava Zavyalow. Published by Dharma Songs. 09. Written by Boris Blank & Dieter Meier. Produced, mixed and arranged by Daniel Lindeberg & Martin Brodin. 10. Written & Produced by Simon Cullen. Published by Dharma Songs. 11. Written and Produced by Max Essa. Published by Dharma Songs. Licensed from Bear Funk. 12. Writen by Rob Spectrum. Production by Rob Spectrum Johnny Moy. Published by Dharma Songs. Mastered by Eugene @ Cromon.